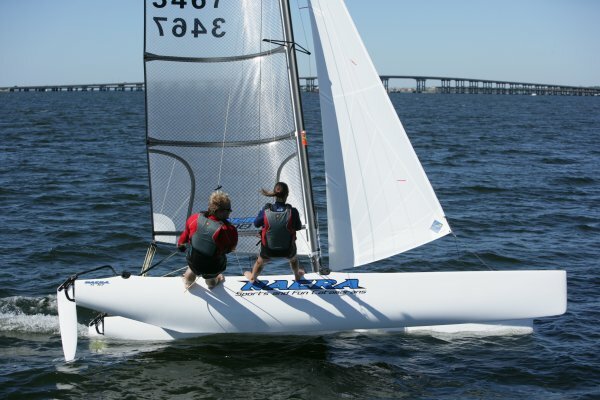 Updated version of NACRA 450. Available in 'FUN', 'SCHOOL', and 'SPORT' versions. Downwind sail area 294 sq.ft.